Building on our unique traditions, the mission of Pitman School District, in partnership with families and our community, is to educate all students through exceptional learning experiences to be discerning, ethical, confident citizens. It is the expectation of this school district that all pupils achieve the New Jersey Student Learning Standards at all grade levels. Pitman High School is a comprehensive high school with a history of academic excellence. The student enrollment is approximately 400 students, and all individuals are afforded a myriad of educational opportunities. A significant aspect of the learning environment at PHS is responsiveness to the personal as well as the academic needs of each student. PHS affords students a safe learning environment with small classes and an emphasis on personalized attention. Curriculum aligned to NJ standards. AP offerings: Math, English, Science, US History/Government, Spanish, plus Honors and Accelerated courses. Other: financial literacy, digital media, entrepreneurship; exceptional choral/instrumental music program; visual/creative arts courses in graphic design, jewelry, ceramics, photography. STEM programs in Robotics and Engineering, Forensic Science; variety of online courses, dual credit college classes (Rowan, RCGC) and work experiences. Our community high school is embedded within a neighborhood, and our clean and safe campus features a modern library/media center, multiple computer labs, a gymnasium and fitness space, a 700+ seat auditorium, state of the art science lab; art/photography studio spaces; workshop spaces for STEM and design classes; instrumental and choral music spaces; and several outdoor athletic fields. 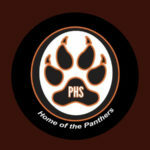 The students of Pitman High School are afforded many opportunities to participate in activities outside of the classroom through dozens of clubs and activities, including opportunities for service to the community. Award winning visual art and choral music programs. Strong instrumental ensembles, including orchestra, hand bells, and jazz band; marching band has won multiple state and regional championships. Popular theater program. PSAT is administered to all students in grade 11. Over 95% pursuing college degree or technical training (class of 2017); average composite SAT = 1049 (2017). Recent PHS students have been accepted to some of the most selective colleges/universities, including Princeton, Penn, Lehigh, Pepperdine, Villanova, Lafayette, Emory Riddle, NJIT, Berklee College of Music, and many others. Popular majors include health sciences, engineering and design, technology, international relations, and the arts.